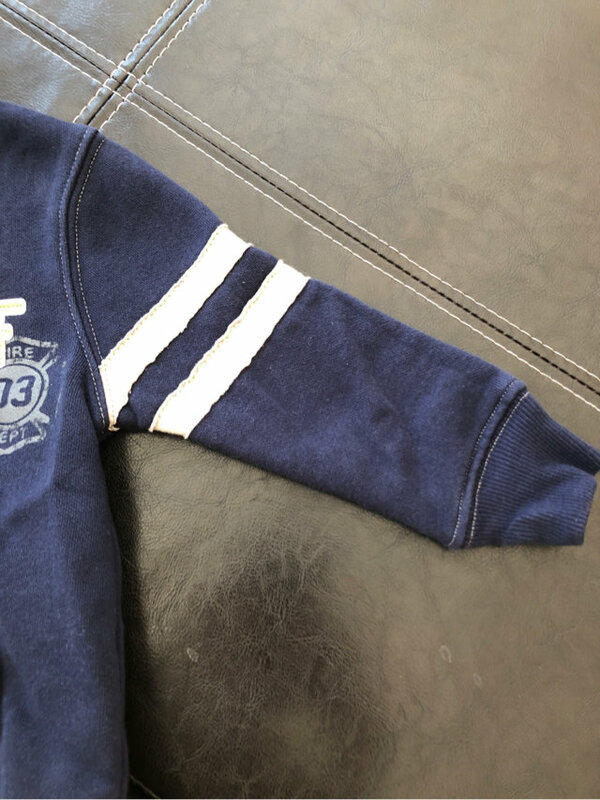 Adorable navy blue sweatshirt by Genuine Kids. 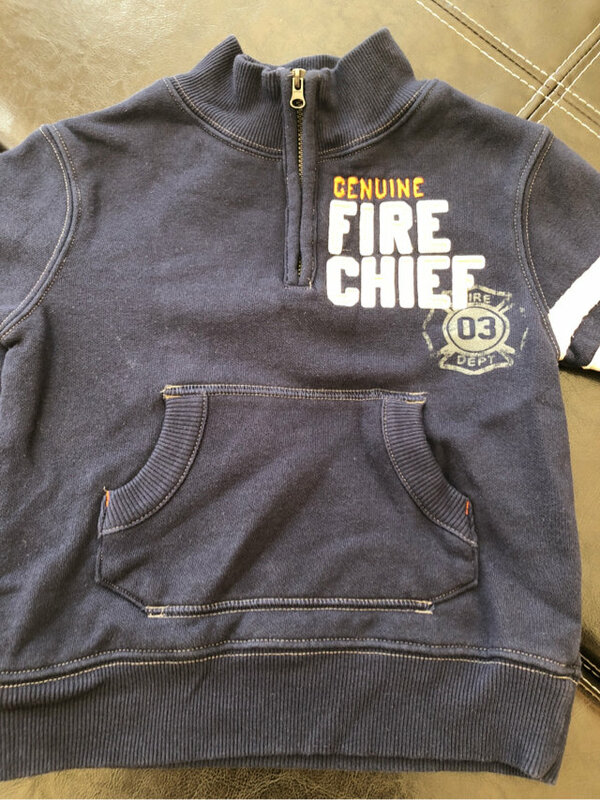 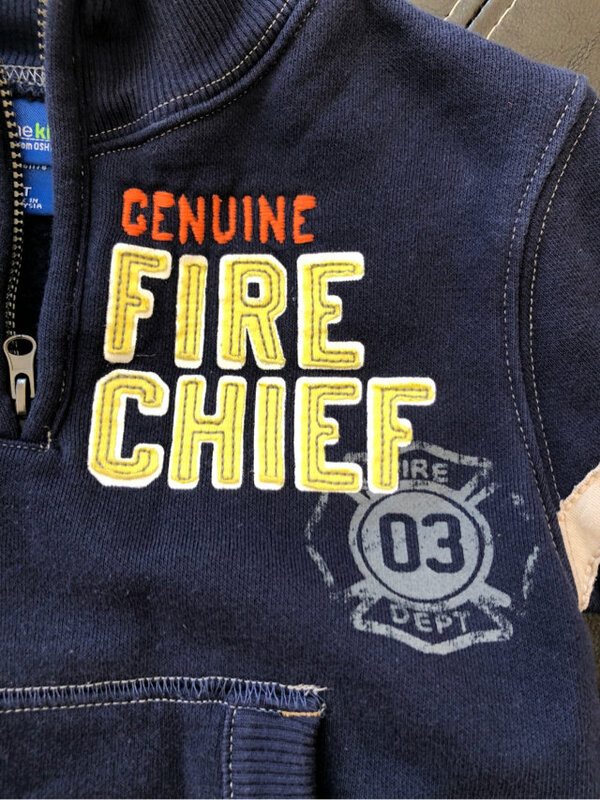 “Genuine Fire Chief” words written on the chest and two stripes on the arms. 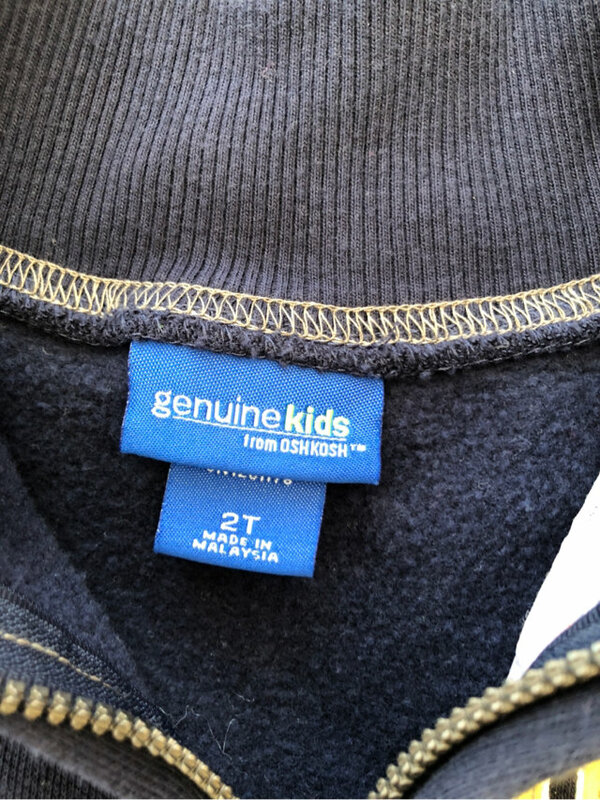 Front pocket pouch and zipper. 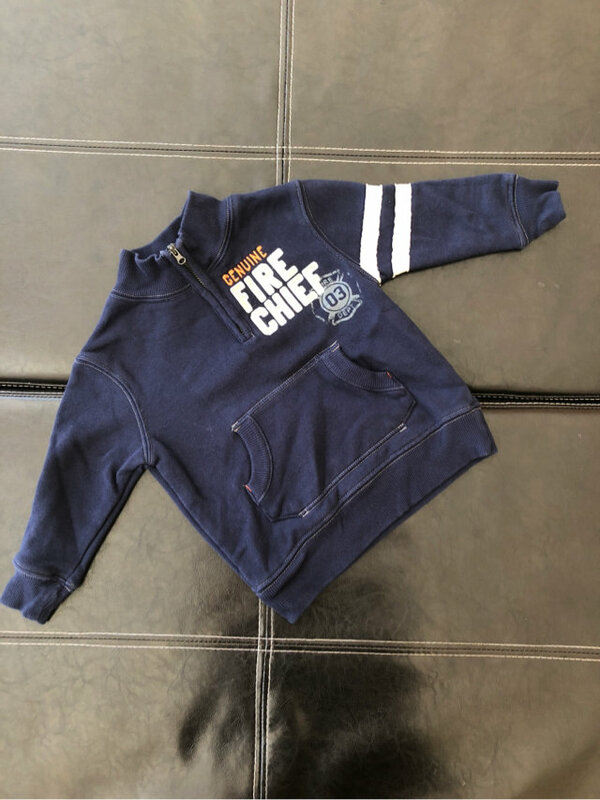 Size is 2T.